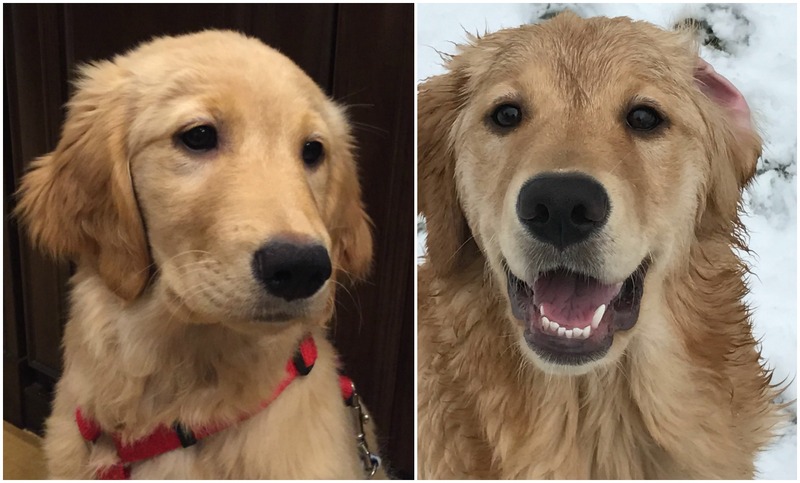 Tom and Elayne Falk of Lakewood, Wash. have been passionate pet owners for more than 25 years, but after losing their two Golden retrievers just months apart, the duo swore off pets. 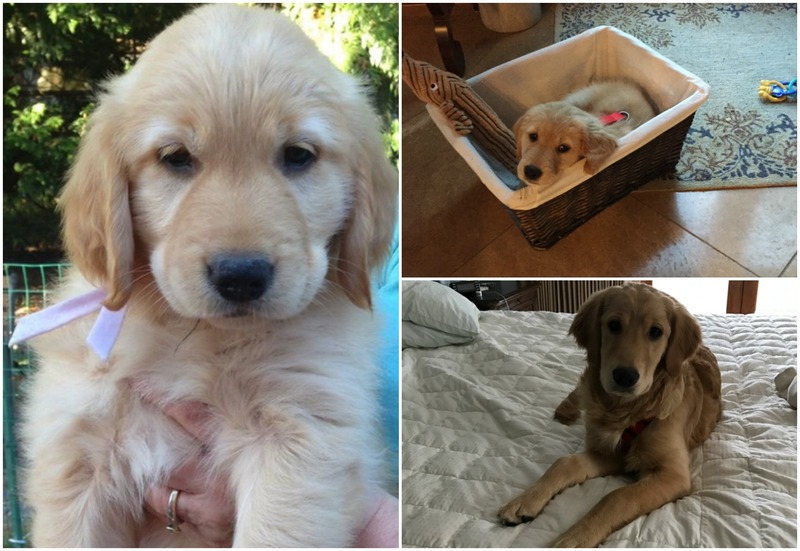 But after two years of feeling the void of a dog’s love, the couple brought home a pair of Golden retriever puppies, naming them Olivia and Ruby. However, their new-found companionship was nearly lost when Ruby’s snout became trapped in the door of a moving elevator car and was crushed. Ruby’s implausible injury and miraculous recovery have earned her the title of January’s “Most Unusual Claim of the Month” by Nationwide, the nation’s first and largest provider of pet health insurance. After agreeing to forgo pet ownership, Tom came home to find Elayne sitting on the front steps of the house with a sad demeanor. Elayne had spent much of her time in the family garden accompanied by their dogs. Tom could see her loneliness, and knew they needed to fill the void. 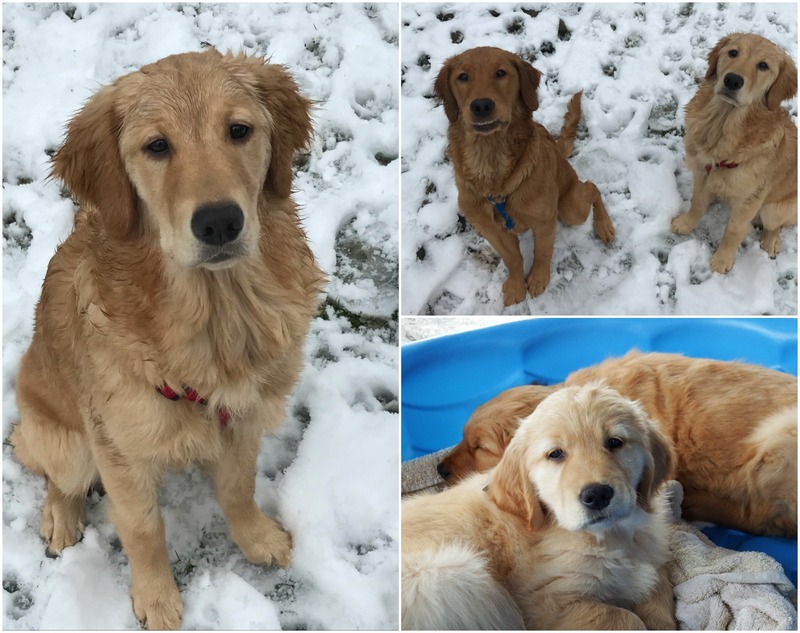 The couple began a two year search through kennels and consulting friends, before they found a pair of Golden retriever puppies, and fell in love. The Falk’s stuck with their original plan, naming the sisters Ruby and Olivia. 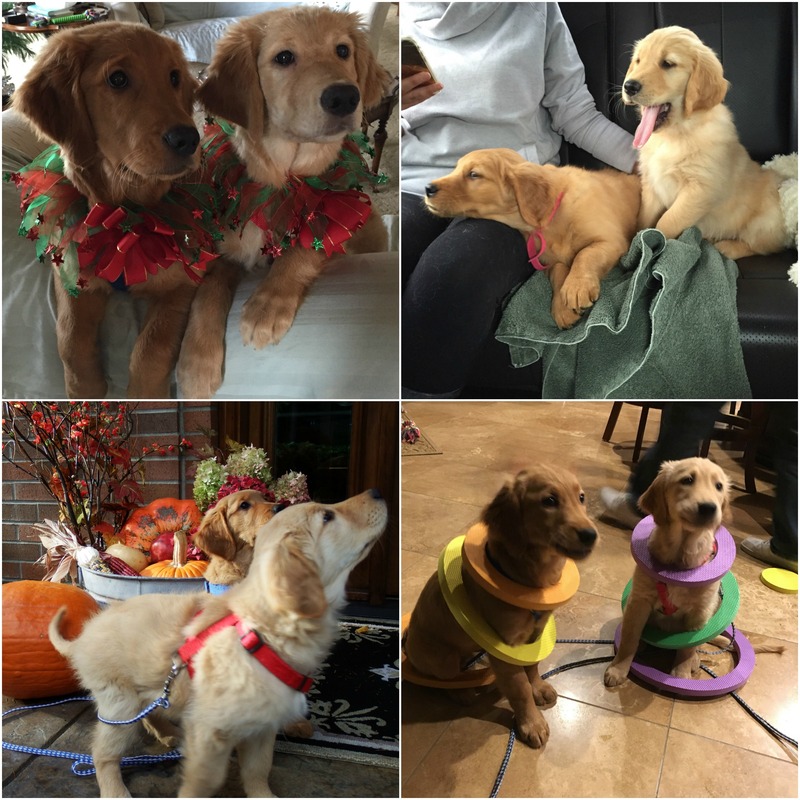 The couple brought the puppies home as soon as they were old enough to leave their mother and immediately signed them up for pet insurance with Nationwide. On the morning of the elevator catastrophe, Elayne was home alone with the two young puppies as Tom had just left for a meeting. The Falk’s home has a unique design that includes a third story and small elevator that travels between the top floor and the basement floor. With the puppies being so young, the Falks set up a sleeping area in their bedroom on the top floor. 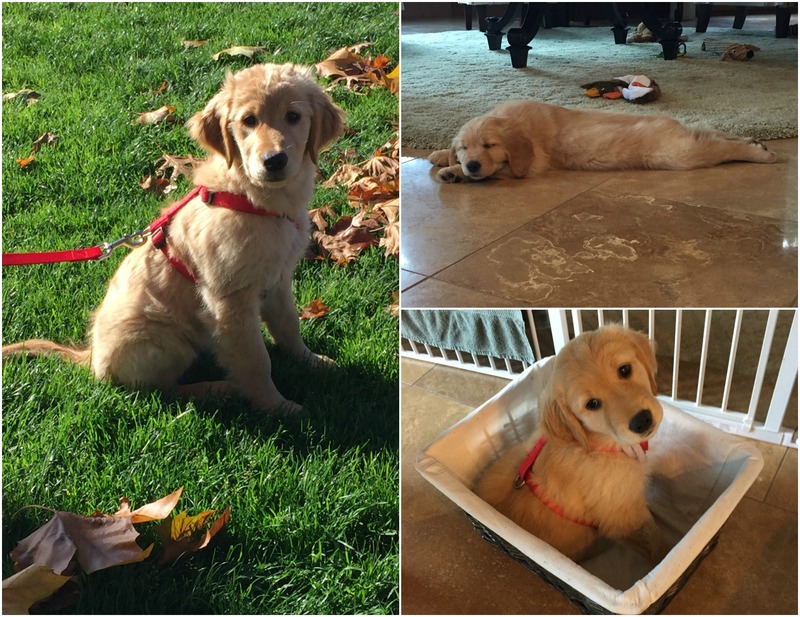 Part of the family’s new puppy routine included taking the puppies down to their potty area every morning. After arriving at the bottom floor, Elayne took the puppies outside to relieve themselves and get some energy out. When play time was over, Elayne rounded up the retriever sisters and loaded them back into the elevator. However, despite her continued efforts she couldn’t get them to settle down. During the commotion, Ruby’s snout had crashed through the elevator gate. As the elevator rose to the second level, her snout was smashed between the ceiling of the first level and the floor of the elevator car. The impact caused the elevator to halt, leaving Ruby trapped. Elayne knew she needed to get Ruby to the emergency hospital and tried frantically to get the elevator working, but the car wouldn’t move. Trapped, she called Tom for help. As Tom rushed home, Elayne was able to fix the elevator issue and get it to the second level. Just as the elevator reached the second floor, Tom opened the outer elevator door. The duo immediately wrapped Ruby up in towels and raced to Summit Veterinary Referral Center in Tacoma for treatment. Upon entering the veterinary hospital, the staff hurried the ailing puppy back to stop the bleeding and run multiple tests. After multiple X-rays and a CT scan, the staff informed the Falks that Ruby’s nose was severely broken and that her snout and hard palate were completely crushed. The staff explained that normally an injury like this would require major surgery, but because Ruby was only three months old, surgery could impair her growth and cause abnormalities. 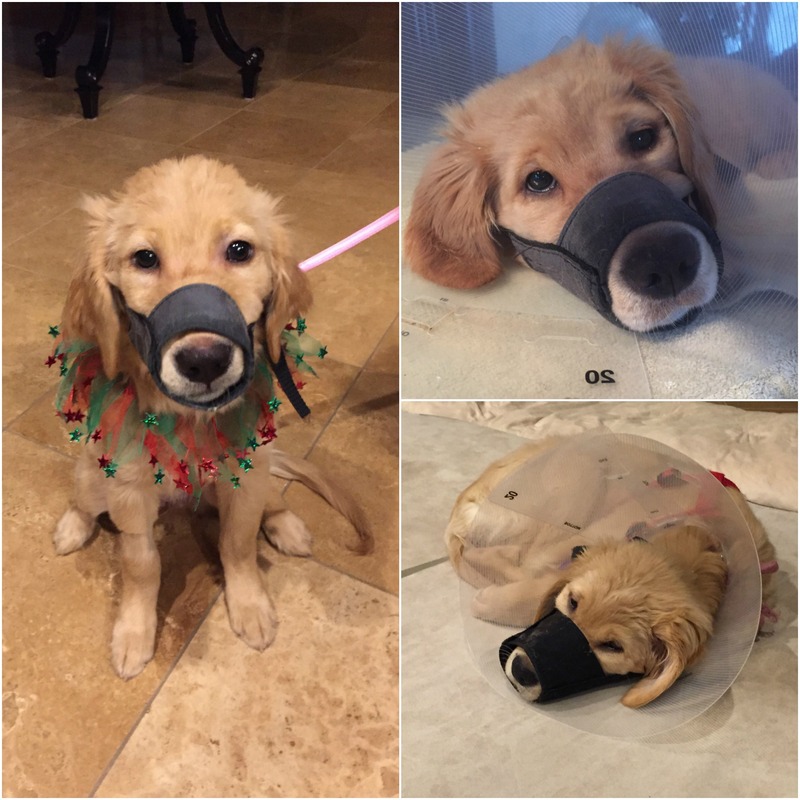 They believed that her snout would mold and heal itself with a little help from a long term brace. The staff fitted Ruby with a soft cast that kept her nose stable, but prohibited her from eating solid food. Ruby’s progress since the incident has been remarkable. Her snout has nearly healed completely and she is now able to eat kibble again. The Falk’s are hopeful that she will soon be cleared to play with toys and chew bones again, but are overall thankful that she has recovered as well as she has.